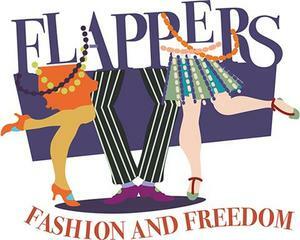 FAIRFIELD, CT - The new exhibition Flappers: Fashion & Freedom has opened at the Fairfield Museum, and the Museum is hosting a fun 1920s Swanky Speakeasy party in conjunction with the fashionable exhibition. On Saturday, October 6 from 7 to 10pm the Museum will be transformed into a Prohibition-era speakeasy. Guests are invited to wear cocktail and flapper-inspired attire. The “glam” party will feature specialty cocktails from Asylum Distillery, wine courtesy of Josh Cellars, hors d'oeuvres from Festivities Catering, as well as swing and jazz music. In addition, attendees will be able to learn the Charleston and Lindy Hop with help from professional dancers and instructors from SwingShoes Entertainment and Dance Dimensions in Norwalk. Guests are welcome to peruse the exhibition, which features vintage hats, bejeweled dresses and other authentic items from Fairfield in the 1920s. Tickets are $75 and available online at Fairfieldhistory.org/events/speakeasy/ or by calling (203) 259-1598. Proceeds will support the Museum’s educational programs. The Fairfield Museum & History Center, located at 370 Beach Road, is open seven days a week, 10am-4pm. Flappers: Fashion and Freedom is on view in the Spaght Gallery through February 2019 and is presented with support from Connecticut Humanities. Members of the Museum and children under 5 are admitted free. For more information, call 203-259-1598 or visit Fairfieldhistory.org. The Fairfield Museum relies on funding from individuals, corporations, and foundations. The Museum is especially grateful for leadership support from the State of Connecticut, Town of Fairfield and Fairfield County’s Community Foundation.